As we know, 10mm is a dynamo of a caliber for boar and other deer sized game. But, several of our customers asked for something with the same hard hitting power and accuracy as our 6" 10mm Hunter but maybe a little shorter than the 6" model so in addition to being ideal for hunting, it's also perfectly suitable for licensed carry or even duty use. Kind of a multi• tasker. And that's how our 5" 1911 10mm Hunter was born. 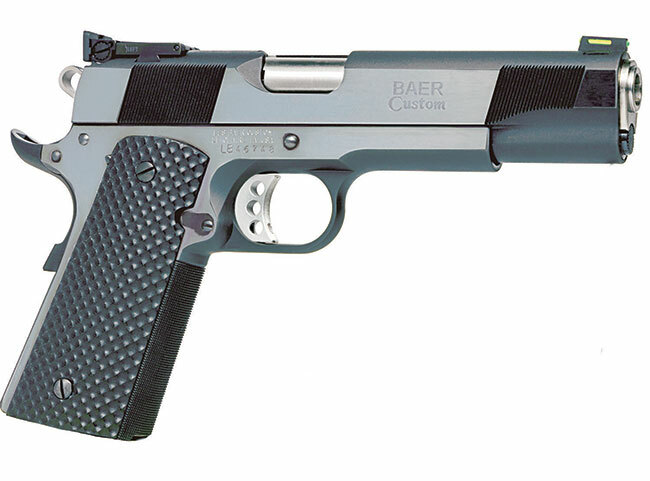 Standard 1911 size with big power and super performance. Ask about our 1 1/2" guarantee!